Thanos moves moons in Infinity War. In a cinematic universe often criticized for its lack of strong villains, a strong villain is the star of their biggest movie yet. “In many ways, it’s Thanos’ movie,” said Stephen McFeely, one of the co-writers of Avengers: Infinity War. 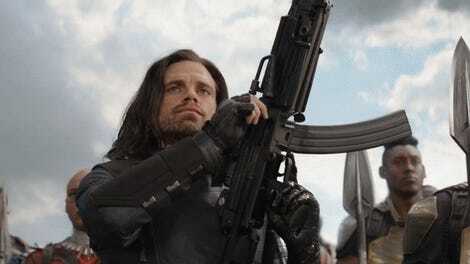 He and Christopher Markus, who wrote Captain America: The Winter Soldier and Captain America: Civil War, were given the unenviable task of writing two movies that will act as an ending to an (eventually) 11-year, 22-movie story. 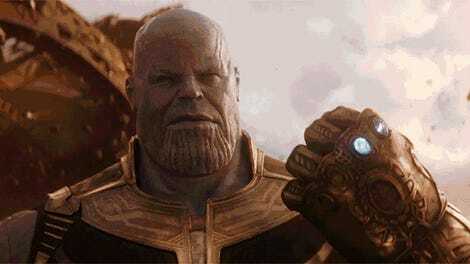 The way they did it was by focusing on the character who has been teased several times before but never explored fully explored: the Mad Titan, Thanos. That’s a lot to convey to audiences in a movie that already stars dozens of heroes. So writers Markus and McFeely positioned Thanos as Infinity War’s main character, with the Avengers acting as support. Yes, that’s an Infinity Gauntlet. Thanos’ quest centers on collecting the six Infinity Stones, which have been set up over the course of many, many Marvel movies. However, Marcus and McFeely needed to make sure that bit of narrative added to the rest of the movie and wasn’t just a simple collection. 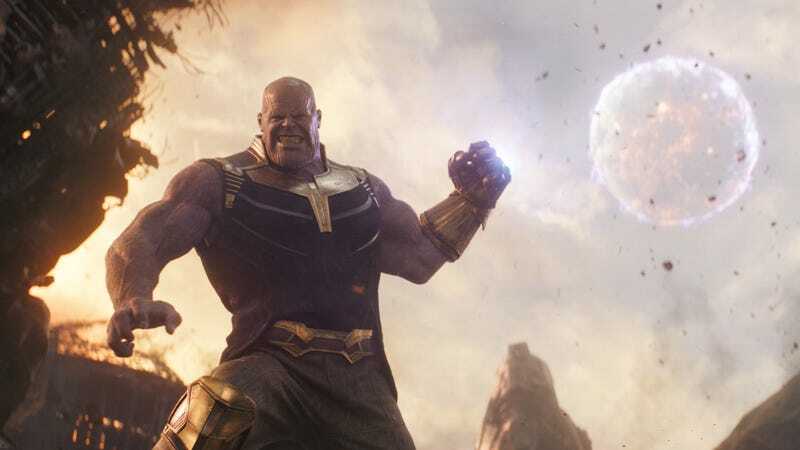 Despite all the care given to building up Thanos as a villain worthy of this film, the Avengers couldn’t be totally ignored (it’s still called “Avengers”: Infinity War, after all). With virtually every single hero in the Marvel arsenal available to them, Markus and McFeely did their best to shake things up at every turn, mainly by putting together characters audiences wouldn’t expect. Mixing the Guardians in with the Avengers was ‘strange alchemy,’ according to the writers. McFeely knows it’s largely the reason the first Avengers movie was so popular, after all—it brought together the heroes for the first time against a seemingly insurmountable foe. Now the roster of heroes is so much greater—but so is the threat. “Hopefully we have the same kind of magic here,” said the writer. Read more of our reports from the set of Avengers: Infinity War below. The movie is hitting theaters on April 27.